Sie sind hier:UHH > WiSo-Fakultät > Fachbereich Sozialökonomie > Professuren > Chair for Organization Studies > Team > Jan Hoekzema, M.A. 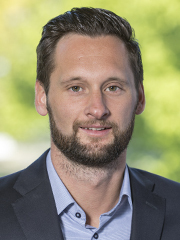 Jan Hoekzema joined the Chair for Organization Studies as a doctoral researcher in April 2016. His dissertation project explores the relationships between stable and dynamic processes, routine interdependence and the management of uncertainty. He holds a bachelor's degree in 'Business Administration' from Embry Riddle University (Daytona Beach, Florida, USA) and a master's degree in 'International Business and Sustainability' from the University of Hamburg. Jan Hoekzema has gained several years of practical experience. After completing internships at renowned international companies such as e.g. Lufthansa Systems he worked as a full-time consultant at the P3-Group where he specialized in project management, configuration management, as well as process and tool development.